For the past two years or so, my wife and I have spent a lot of time on the road, going camping, planning an out of state wedding, and more. Unfortunately, I tend to find eating in unfamiliar towns a serious challenge. Because I’m a celiac and dairy intolerant, I’m constantly crosschecking menus, researching cafes, and just giving up and saying, “Let’s go to a diner,” so I can eat eggs and potatoes. It’s not a great system, but if a meal ends and I’m fed and not ill, that will have to do. That being said, a few of our most recent road trip took us to the city we call “home” in a spiritual sense – Northampton, Massachusetts. 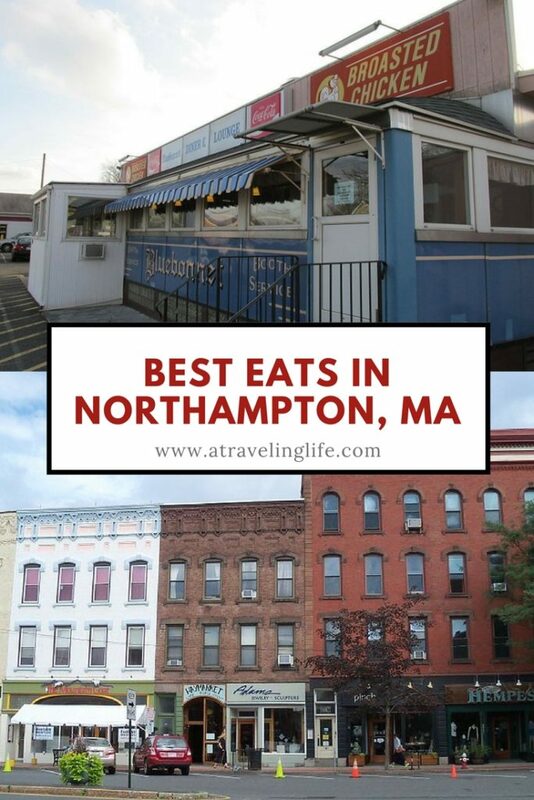 Home to our mutual alma mater, Smith College, and the city where we got married, Northampton is also my absolute favorite food city. I know when I walk into a café or restaurant I’ll be able to eat something delicious that meets my dietary needs. And the food is always top notch. Certainly some of the “don’t miss” destinations in Northampton are gluten or dairy-heavy – but I still recommend them wholeheartedly. 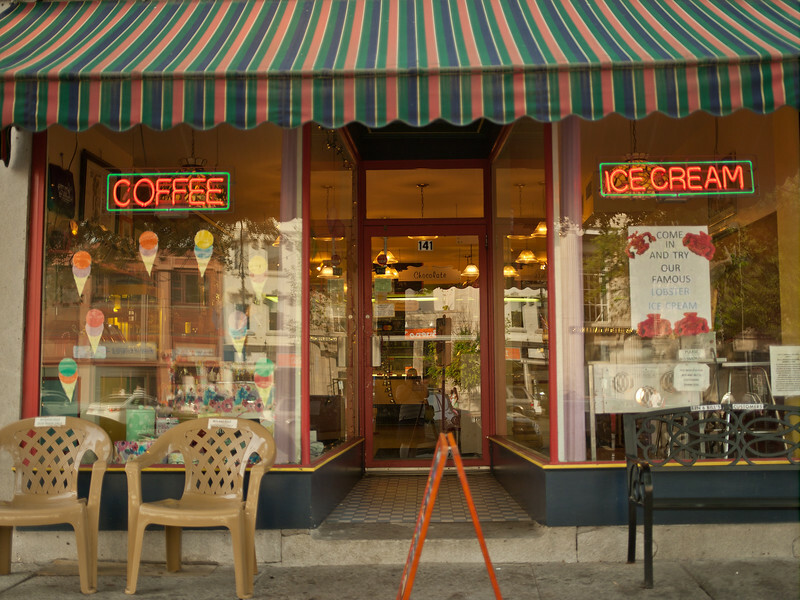 If you can eat ice cream and don’t go Herrell’s or GoBerry, or you skip out on the gluten-rich bread at The Hungry Ghost, you’re doing yourself a disservice. No matter what you do or don’t eat, though, if you’re headed to Northampton, get ready to graze because snacking is where it’s at. 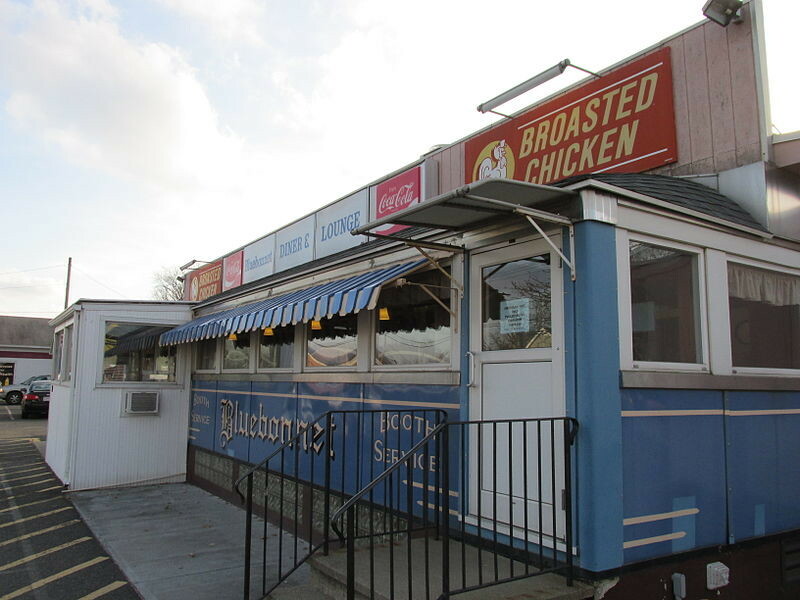 The Bluebonnet Diner has been serving classic comfort food in Northampton since 1950. Perhaps the hardest decision I make every time I go to Northampton is what café(s) to go to. Most people I know favor Haymarket because of its fresh fruit smoothies, many of which sport hilarious names like the Spanking – raspberries, banana, fro-yo, mango and apple cider – and the Swamp Thing, a fruit medley with a greenish hue thanks to the addition of spirulina. If I’m in the mood for something a little sweeter and less nutritious, I opt for the Woodstar Café instead of Haymarket. A smaller shop on a side street, Woodstar makes the richest, thickest coconut milk hot chocolate I’ve ever had. They also bake an incredible gluten-free, vegan chocolate cupcake with raspberry buttercream; you’d never know it was an “alternative” sort of bake. You can be sure I always come home with a box of these in the back seat of the car. In addition to feeding me extraordinarily well, I love visiting Northampton’s cafes because they’re doing their best to contribute to the community. Haymarket offers a common account that allows community members to pay what they can, helping to feed everyone who comes through the doors. Woodstar supports a local organic farm, sourcing their produce from land just a few miles away. To be quite honest, when visiting Northampton I’d happily consume smoothies and pastries all day, but eventually it comes time to have a real meal – and there’s no shortage of excellent and diverse dining options. One surprisingly tasty option, and one of the only places you can eat late at night during the week in this small town, is Local Burger. Local Burger opened up my first year of college and has continued to be a popular student eatery, but their burgers serve a mature taste. The diner-like setting offers local grass-fed beef, local ice cream for milkshakes, and fried pickles that are the perfect late night snack, especially if you’ve been drinking. I spent a lot of late nights here in college and can still eat here, enjoying their burgers on a gluten free bun. For a more elegant dining experience, I can’t recommend Viva Fresh Pasta more. With organic pasta made in-house, you get that tender bite you rarely find in dried pastas and with a wide variety of flavors. My favorites include the sweet potato ravioli, as well as the wild mushroom and walnut ravioli. Traditionally the sweet potato ravioli is served with a maple-walnut cream sauce that could qualify as dessert if it wasn’t for the onions and turmeric. 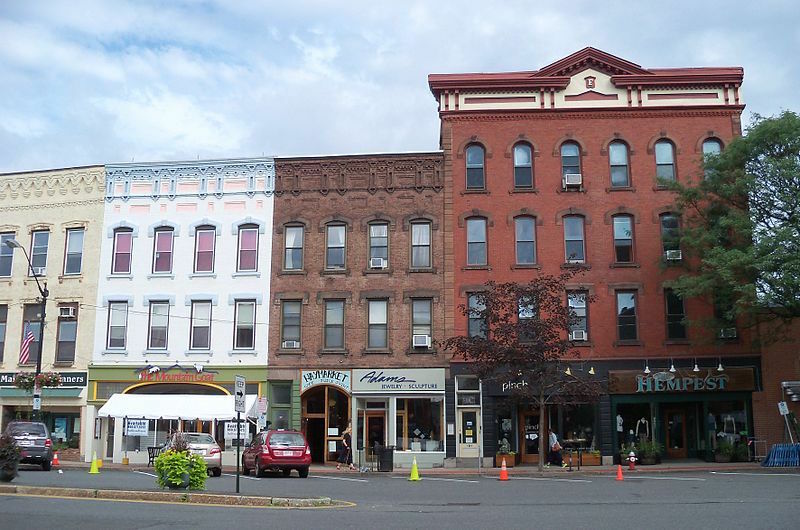 I live in New York City these days, but given the option I’d rather eat in Northampton because the town is surrounded by farms and understands special dietary needs like nowhere else. When I was in college, we always referred to the town as existing “behind the tofu curtain” for its progressive politics and deep embrace of vegetarianism. These days, let’s just say an almond milk river flows through it and I’ll be sailing along it enjoying my pasta and cupcakes. 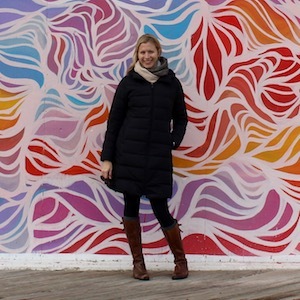 Allison Bird is a freelance writer and poet living in Staten Island, New York with her wife and four cats. When she’s not writing, you can find her in her kitchen cooking up something new for her website KitchenFemme, trying to successfully grow vegetables in her backyard, or working with children at her church. Her work has appeared in the Pittsburgh Poetry Review, Stir Journal, and on EquallyWed. If you’re interested in exploring other destinations in western Massachusetts, check out my experiences during a weekend in the Pioneer Valley as well as other trips to Greenfield, Deerfield and Shelburne Falls.